A Ghanaian developer who created a video game mocking Hillary Clinton has had their account permanently banned from the Google Play Store. Meanwhile, a number of games simulating violence against the presumptive Republican nominee, Donald Trump, remain hosted on the store. 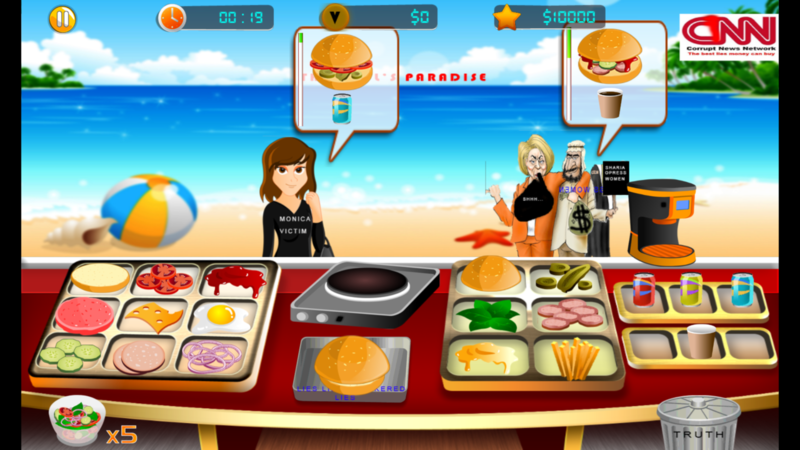 The game, ‘Hiliar Clinton,’ is a restaurant simulator that puts you in the role of a burger vendor on a tropical island who has to deliver correct orders to a host of corrupt clients, including the eponymous ‘Hiliar,’ Saudi oil sheikhs, dictators, and ‘Hiliar’s’ husband … Bill. The customers aren’t all bad guys though — occasionally, a girl called “Monica Victim” strolls into the store. It’s possible that a photoshopped version of the CNN logo, remixed to say “Corrupt News Network,” may have been the reason for the game’s removal. Copyright tends to be stricter when brands are involved. But the logo that appears in the game has obviously been altered for the purposes of the game, which means it ought to fall under copyright exceptions designed to protect works of parody. It’s the same sort of exception that protects Andy Warhol’s Campbell Soup painting. He didn’t design the logo himself, but by remixing it he turned it into a work of art. ‘Hilliar Clinton’ isn’t a work of art by any stretch of the imagination, but it is a clear work of parody, which raises the question of why the game was banned from the Play Store. In an email to the game’s creators, Chicane Interactive, Google failed to specify what area of the terms had specifically been violated. REASON FOR TERMINATION: Multiple violations of the Developer Program Policies and Developer Distribution Agreement as outlined in previous emails sent to the registered email address of your Publisher account. You can visit the Developer Policy Center to better understand how we enforce Developer Program Policies. If you’ve reviewed the policy and feel this termination may have been in error, please reach out to our policy support team. The game’s developer, Chicane Interactive, is a small app development studio based in Ghana. The studio’s founder says he was drawn to the U.S. elections because of Donald Trump, who he believes is speaking “painful truths” that others don’t want to hear. In Ghana, a country where many are still below the poverty line, the one-time $25 registration fee to use the Play Store development console is a significant expense, equivalent to 100 Ghanaian cedis. The average Ghanian only makes approximately $10,438 USD a year. 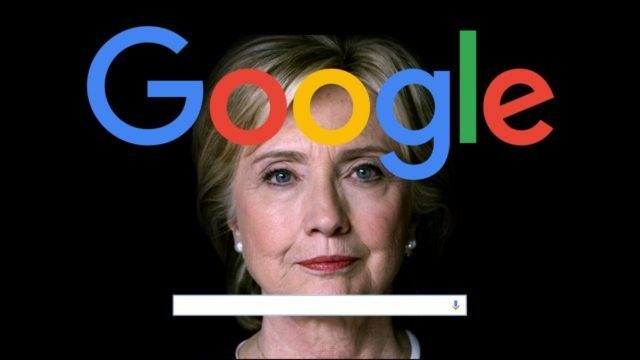 Analysis of Google’s search results from SourceFed earlier this month suggested Google is manipulating search results to favour Hillary Clinton (although Google denied it was doing so.) WikiLeaks founder Julian Assange has also accused the search engine of backing the Clintons. There are still some games mocking Hillary Clinton on the Google Play store (including “Hillaroids,” a game that allows players to blow up asteroids with Clinton’s face on them) which suggests there hasn’t been a wholesale cull of anti-Clinton games on the store. Then again, there hasn’t been a wholesale cull of conservatives on Twitter or Facebook either — instead, they’ve been picked off one by one, in a string of unfair suspensions and bans. There could be an innocent explanation for the removal of this game of course, but until Google, and other platforms, start to be more specific about why they take decisions to suspend or punish users, it’s impossible to know their reasoning.